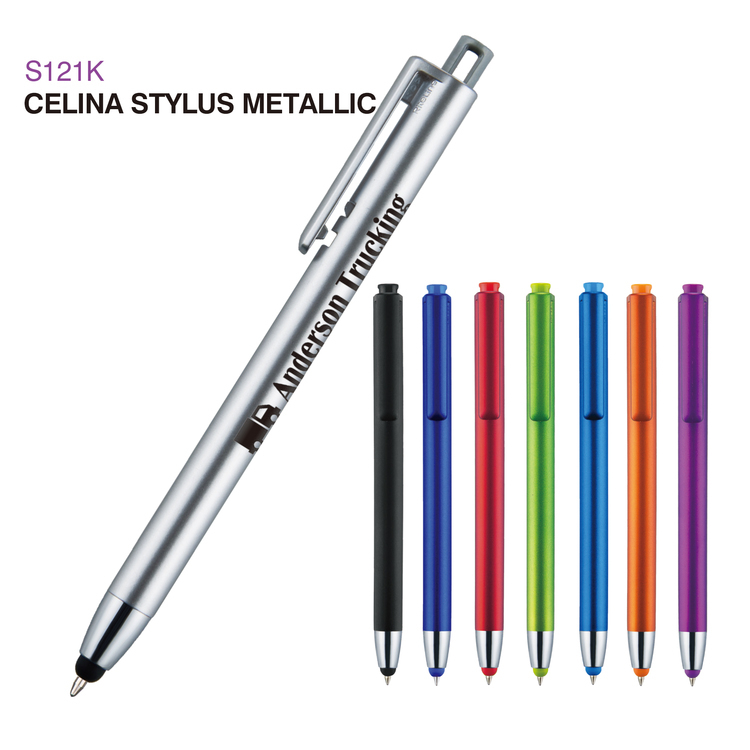 Retractable style plastic pen with silver barrel, and color matching accents and grips. 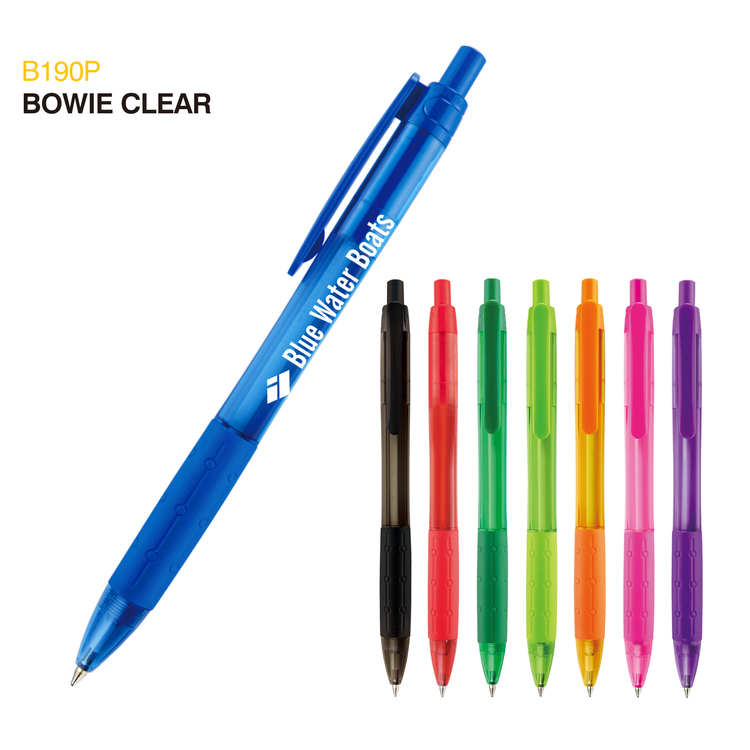 Medium point refill available in black writing ink only. Free 24 hour rush service available.. There are NO SET UP CHARGES at RiteLine! 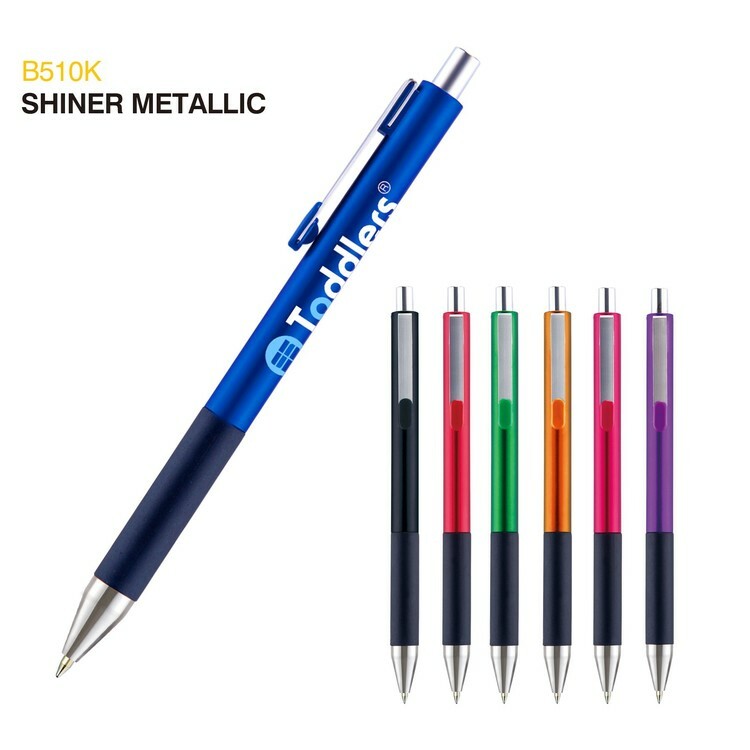 Retractable style Stylus Pen with a silver barrel. 36 standard clip colors to chose from. Refill is German antifraud ink. Imprint area is 1 x 2.25 There are NO SET UP CHARGES at RiteLine! 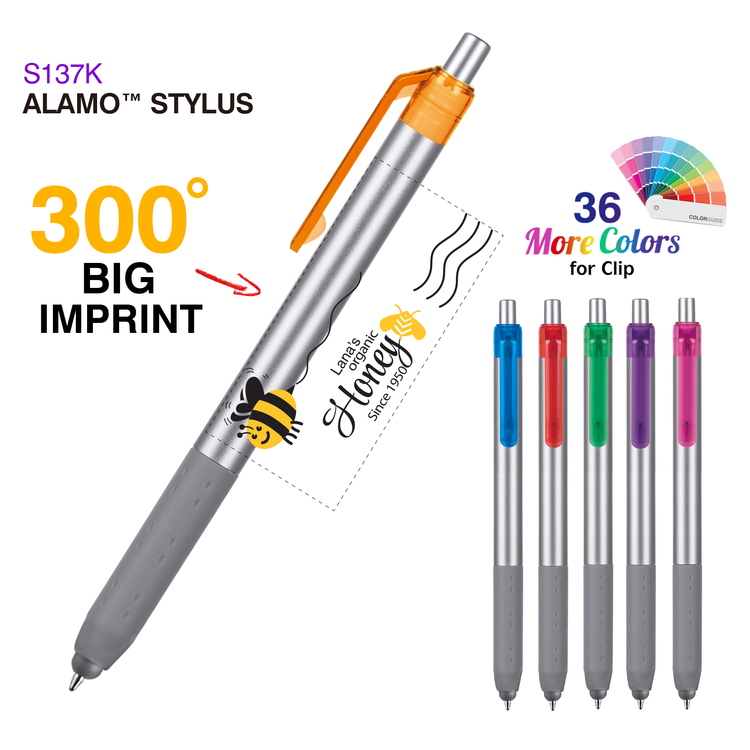 Retractable Pen designed for placement in the dash of any autio. 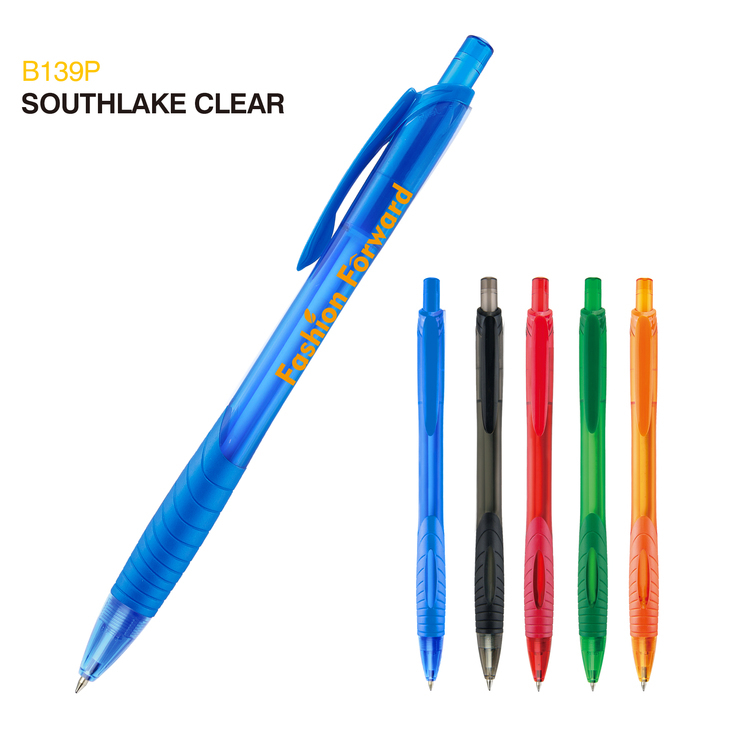 Patented swivel clip keeps the pen visible and handy at all times. There are NO SET UP CHARGES at RiteLine! 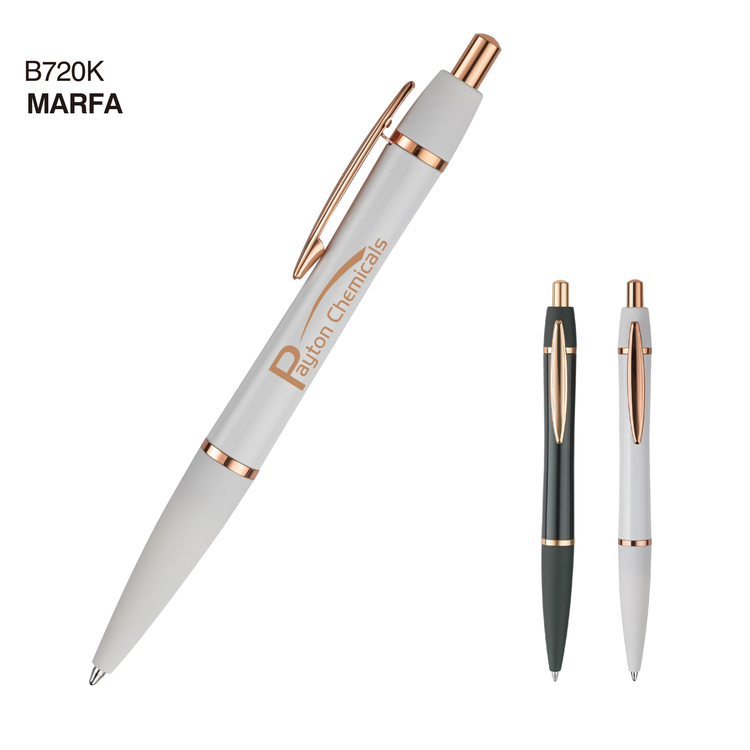 Soft Touch traditionally styled pen with a rose gold clip and plunger. 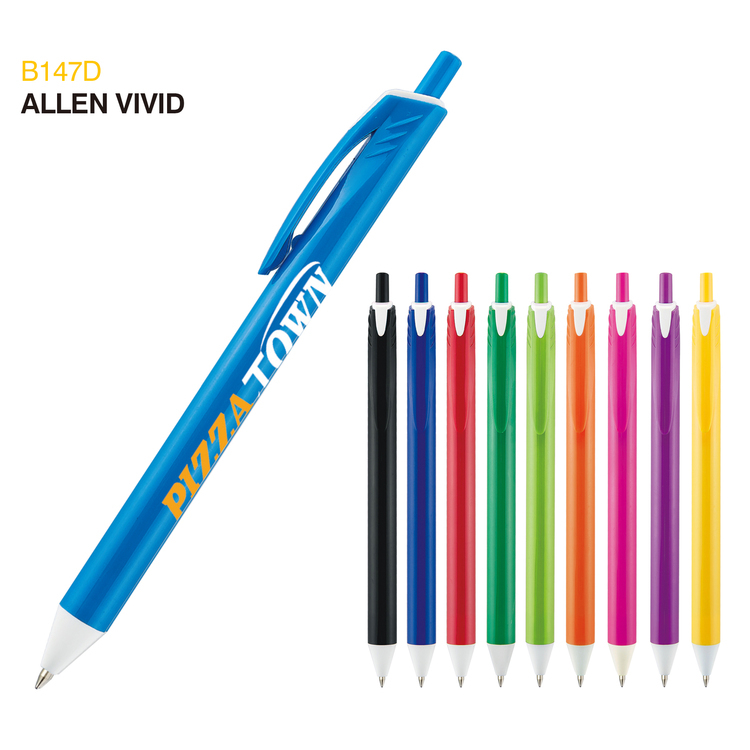 Available in black or white there is a matching colored grip. 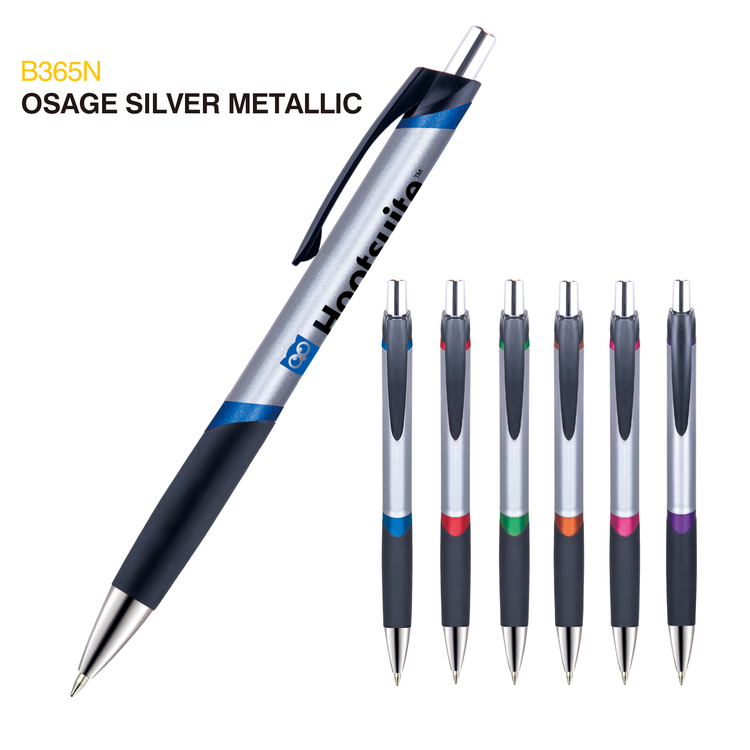 Can be screened or lasered. There are NO SET UP CHARGES at RiteLine. 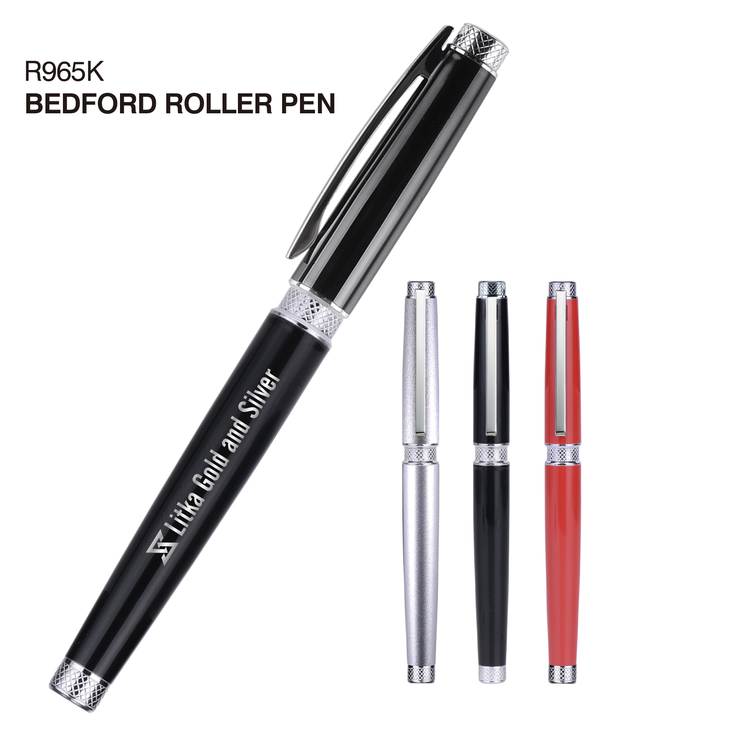 Retractable style Pen with a black barrel. 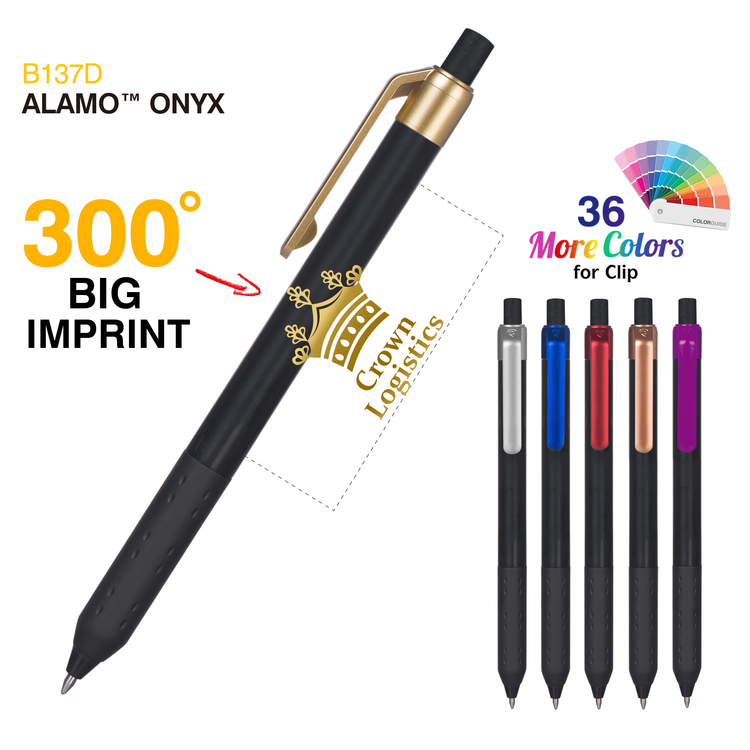 36 standard clip colors to chose from. Refill is German antifraud ink. 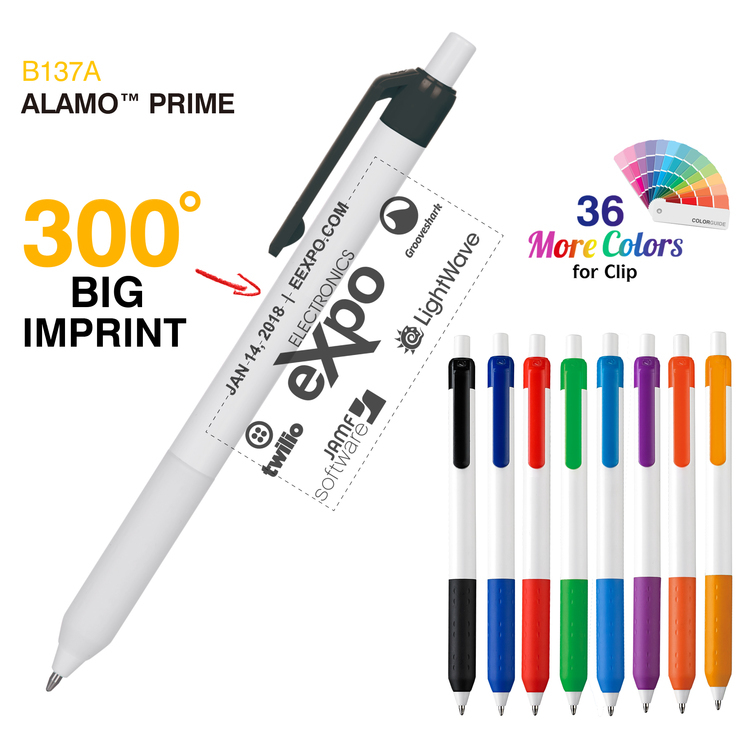 Imprint area is 1 x 2.25 There are NO SET UP CHARGES at RiteLine! 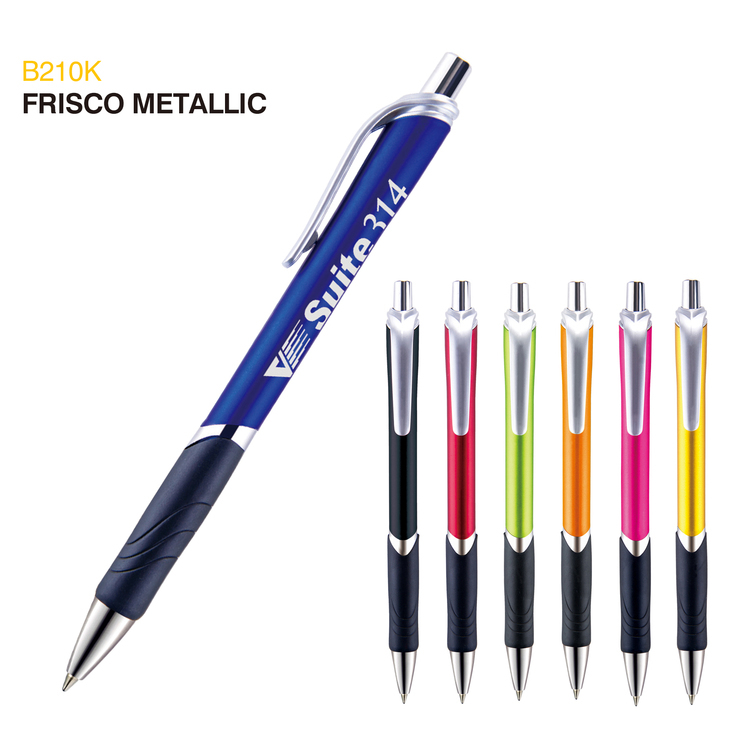 Retractable style plastic pen with a metallic colored barrel and a black soft grip.  Metal clip with chrome plunger and clip. 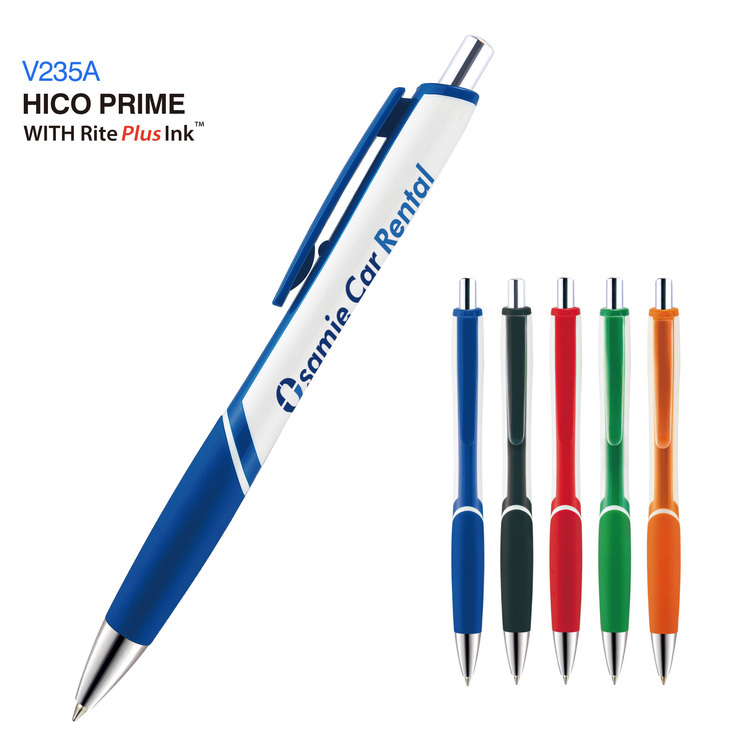 Available with FREE 24 hour rush service. 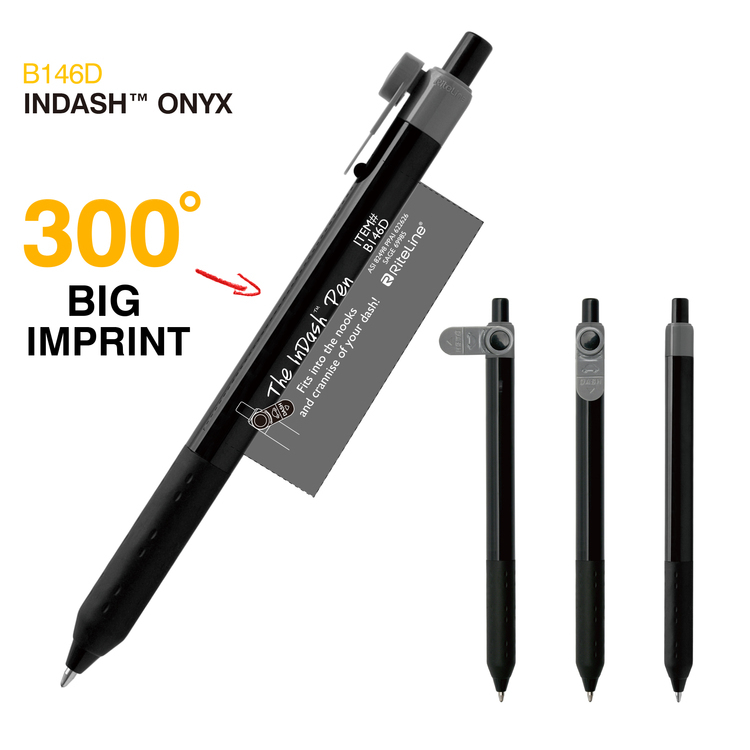 Only available in black writing ink. 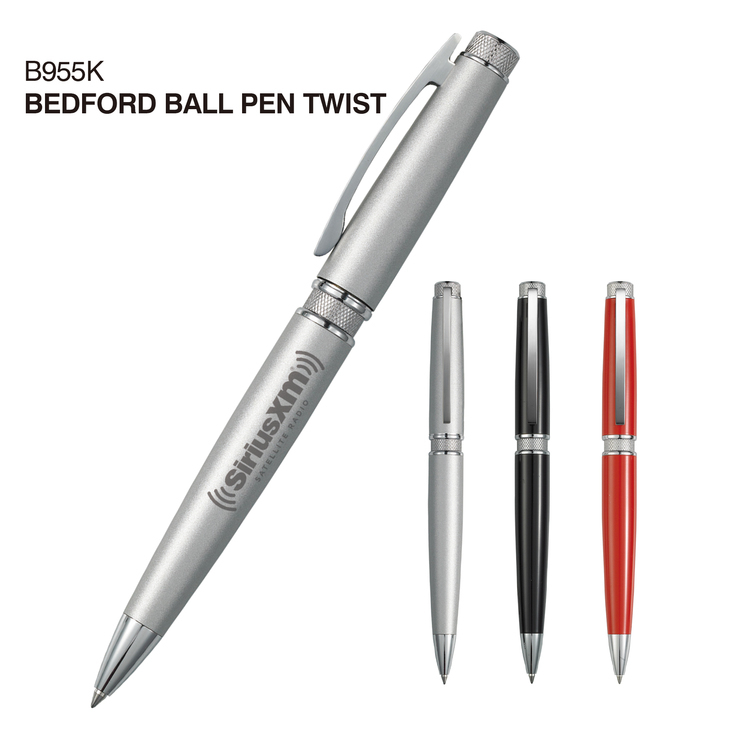 The Bedford Ball Pen Twist is a classic executive pen with a twist action. 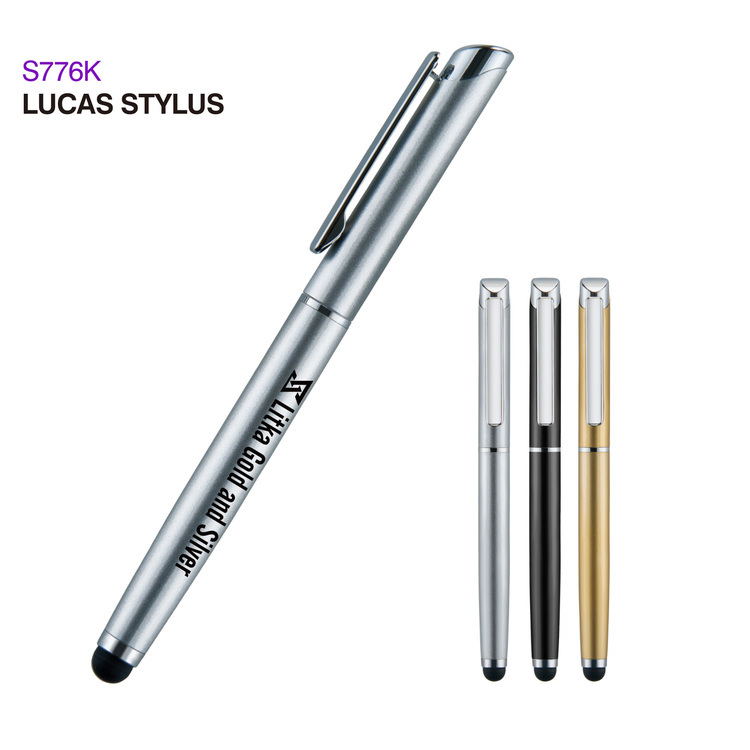 Available in Red, Black and Silver and is a perfect choice for a personalized pen. There are NO SET UP CHARGES at RiteLine.